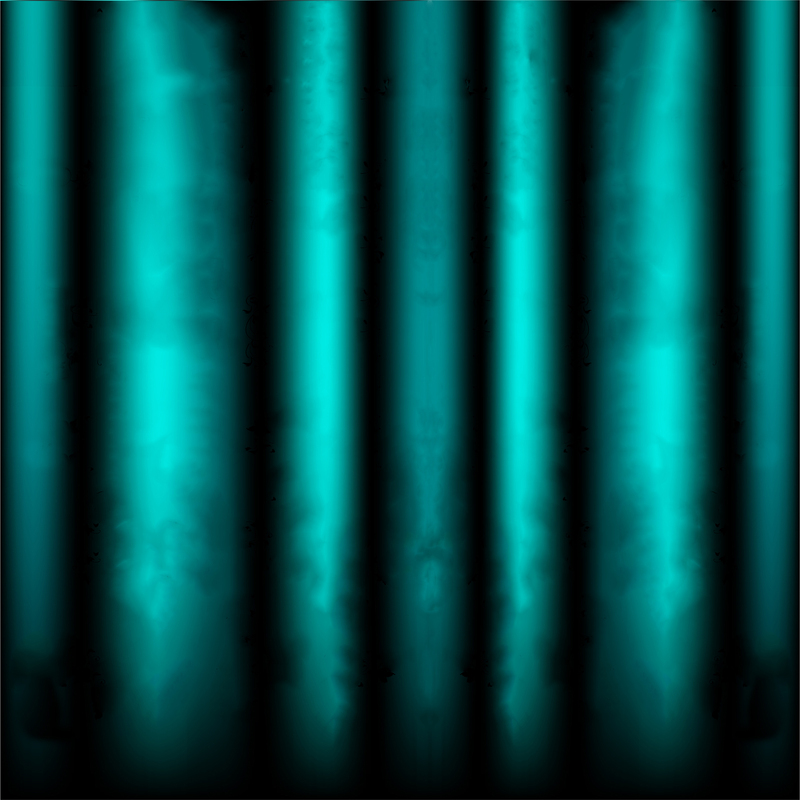 What sets this Barbiere apart from all others available is its elegant realism. None of its visuals are the least bit cartoonish or blatantly designed for comedy. Dr. Bartolo’s house is a stark, stern-looking structure of plastered brick with a comfortable yet plain, white-curtained interior, while the costumes are highly realistic 18th century garb in subdued colors. Yet despite its fairly austere appearance the production is delightful, thanks to its performers and staging. The stage business is lively, witty and free of excessive slapstick, and every singer brings his or her character to life, all offering rich, vibrant characterizations that strike a perfect balance between comedy and humanity. Gino Quilico’s youthful and handsome Figaro is a constant charmer, with a fairly lightweight yet appealing voice and outstanding energy and wit. Equally charismatic is Cecilia Bartoli’s Rosina. At age 22, her voice is already tailor made for bel canto, and her performance brims with sparkling-eyed feistiness yet also creates true pity for Rosina’s plight. Her Almaviva, David Kuebler, sings with an attractive if dry and vibrato-heavy tone, and like the others, acts his part to perfection. This Count is no bland lover boy, but a likeable yet cocky, overly lovesick, over-impetuous young nobleman who truly couldn’t manage without Figaro. As Bartolo, Carlos Feller sings with a deep, rich tone, though some of his patter is messy, and makes a wonderfully pompous old coot. True, he’s not outstandingly funny, but he doesn’t try to be; the humor here comes from the funny things that happen to him. Meanwhile, Robert Lloyd is an expert Basilio, cavernous-voiced, colorful and oily yet never a cartoon; the Schwetzingen audience adores him. Last but not least, Gabriele Ferro conducts with all the necessary charm and brio. Sound and camera work are first-class, though the darker scenes unfortunately tend to hide the singers’ faces in shadow and the DVD’s English subtitles contain a few errors. People who enjoy zany, larger-than-life Barbieres may not like this production, but for people tired of slapstick and longing for an elegant, human approach to opera buffa, it’s an ideal choice. 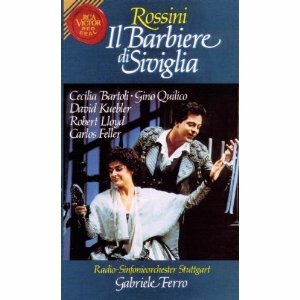 At any rate, it’s a personal favorite Barbiere of mine and never fails to brighten my day when I revisit it. I remember laughing to my heart’s content the first time I watched this. 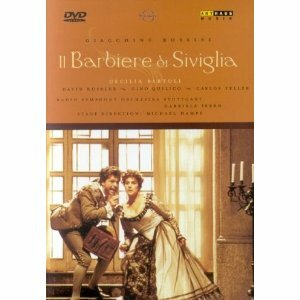 It is the first production of Barbiere that I watched. It’s so funny. Truly a great production.